We are delighted to announce Ceramics Historian, Lars Tharp, as our new Honorary Festival President. After studying prehistoric archaeology at Caius College, Cambridge, Lars joined Sotheby’s, specialising in Chinese ceramics. 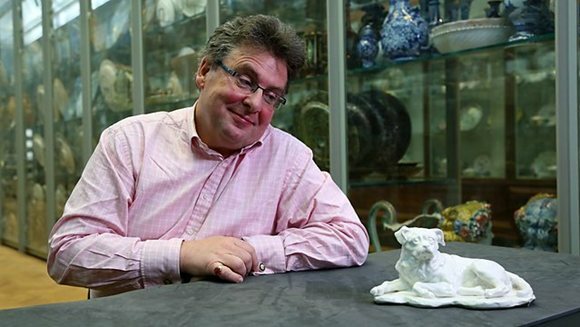 While there he was invited onto the Antiques Roadshow team (1986 to present). In 1993 he left the auctioneers to set up his own company, Lars Tharp Ltd (www.tharp.co.uk ), advising on all aspects of ceramics and on the acquisition, care and disposal of art in general. His debut as guest curator was in 1997 with his Hogarth’s China (International Ceramics Fair and Seminar and later at The Wedgwood Museum). His most recent three-part exhibition went under the collective title, Celebrating Ceramics ((2005/2006), mounted simultaneously in York, Scarborough and Wakefield museums and drawing on the combined, 12,000-plus ceramic pieces in the York Museum Trust collections. Lars broadcasts frequently on TV and on radio (BBC3 and BBC4). As well as the Roadshow (1986 to present) he recently wrote and presented two films for the BBC: Treasures of Chinese Porcelain (BBC2011) in which he followed the historic overland trade route of Chinese export porcelain from Jingdezhen to Canton (Guangzhou); then came China in Six Easy Pieces (BBC 2013) in which he became the first to film the celebrated Percival David Collection, the finest private Ceramics collection outside China/Taiwan and now in the care of the British Museum. Believing that inanimate objects come to life and even change their ‘appearance’ once we know more of their genesis and history, his recent films have re-invested people’s perception, not just of Chinese ceramics (how they were made, the heroic labour involved in making and bringing them to Europe, etc., etc. ), but of the Potter’s Art in general. Given the chance Lars will usually seize the opportunity of ‘mucking about with’ clay and on the potter’s wheel. We are delighted to welcome Lars to our festival team! 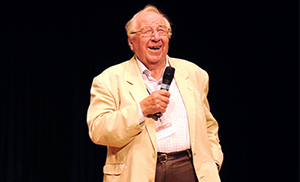 Sadly Henry Sandon retired as our festival president in 2013, Henry was in his element at the Festival, surrounded by pots and potters and his lectures provided festival-goers with an extensive knowledge of ceramics as well as an array of entertaining tales. He will be very much missed and will always be welcomed as an honored guest.